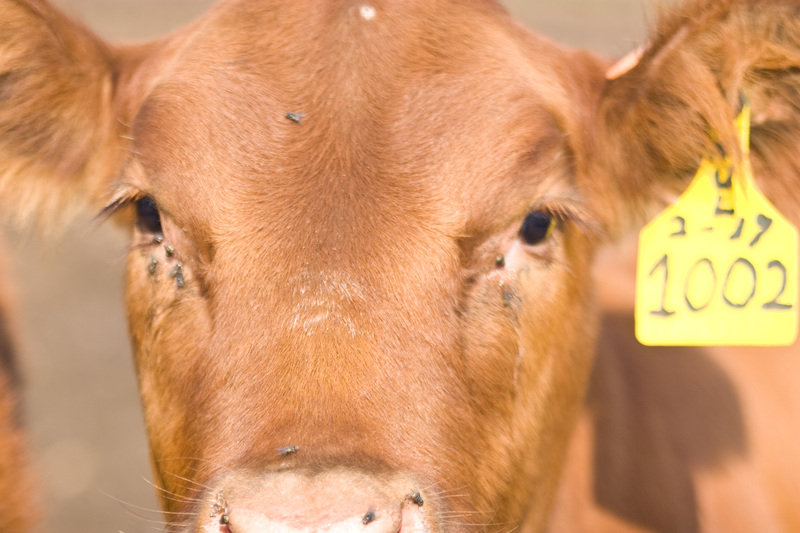 On our farm, every bovine critter gets an eartag – no, not an earring. Though when the tags are new and bright and clean, they do look quite nice! Referring back to the video, “Moving Cows”, you heard me mention getting a calf’s eartag put in. As I reviewed the video myself, I noticed that we have a cow who has lost her tag. Have to get one put back in tomorrow (I hope Matt found the tag that fell out so we know what # to put back in) when we give her spring shots and deworm! So why would we put a tag in every animal’s ear? The information on that tag holds their life history & their name (kind of). Oh ya – there are a handful that really do have names like Ellie and Silver and Belle and Tillie and Mimi and the most prescious ones, Clover and Beauty. However, those are just the ones who have been 4-H projects for the kids and have become a bit more pet-like than any normal rancher would want their cows to be! 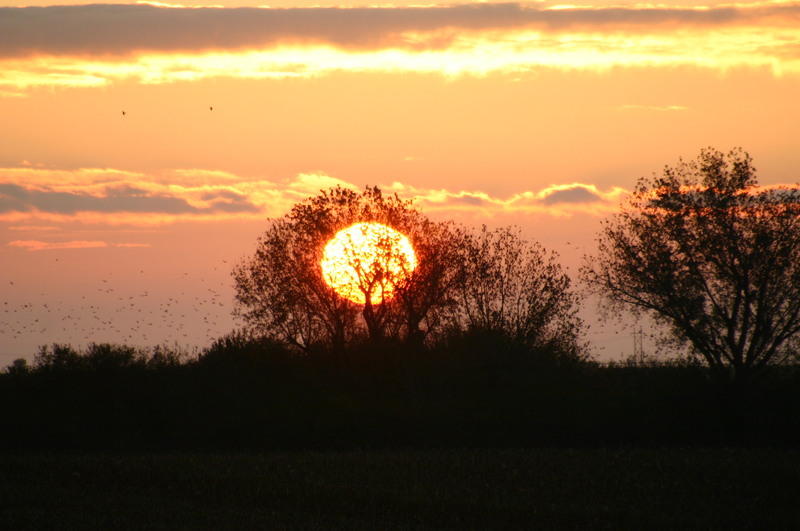 Beauty has not been shown and she has an interesting life-story of her own; I’ll save that one for another day. Alright, back to the purpose of the tags. Each cow has a number, which could be considered her name. That number is for management purposes. The first digit indicates the year she was born (if she came from our own herd). We have purchased some cow-calf pairs to grow our herd and we just left the numbers the previous owner used. The next digits indicate the cow family. So, cow #293 was born in 2002 (she is reaching the end of her years) and her mom is #93, which is one of the first cows we bought when we were starting out. When calves are born, they immediately get an eartag with lots of information on it! That tag will hold their mama’s number, the sire of the calf, the date the calf was born, and our brand. When we send pairs out to grass, we definitely want to make sure we have the right mama’s with the right babies – the tags help us get it right. Next – why do we have different colored tags in the cows? We are truly a family operation and the cows get ran together for part of the year. So, Matt & I have green tags, Kaydee & Emmet have yellow tags, and Matt’s brother has red tags. In addition, Matt and his brother still have a few cows together and those ears are adorned with purple tags. Oh yes – a record keeping challenge! However, between Matt & I with some help from the kids, we do manage to keep everything straight. Next time you are driving through the country and see a herd of cows, you will know that they each have their own identity in the herd if they are wearing ear tags. Check out my grape salad recipe. It’s super easy to make and way delicious! Why ATV’s and Not Horses? 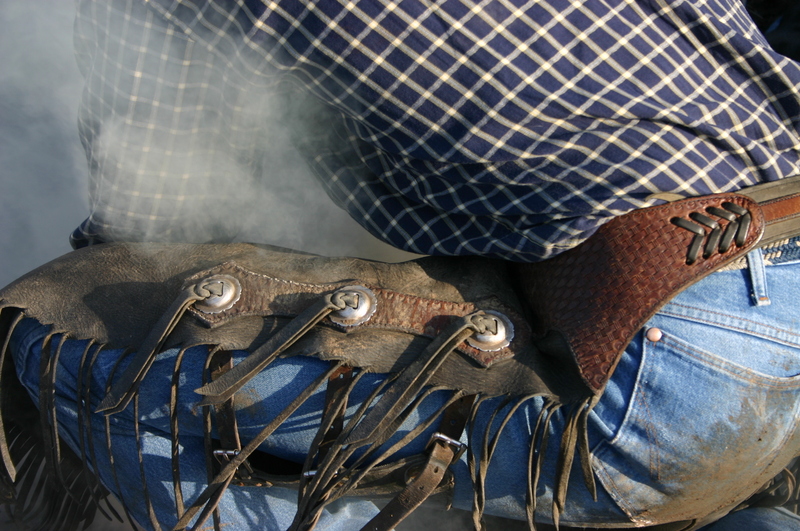 Mostly…much to my daughter’s dismay, my husband isn’t a fan of riding horses. If you caught the video I shared yesterday, you saw that we used all ATV’s to move our cows. For the next several blog posts, I’m going to try my hand at giving the most basic explanation of the things that are just plain old everyday life to us. 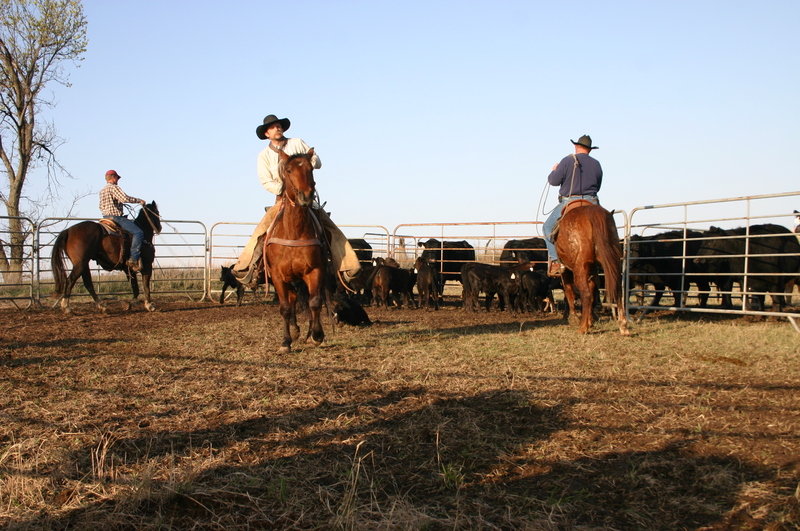 I’m sure many folks have that romantic notion of ranching – and it does still exist on many ranches, of all work being done from horseback and commanding a dog. We handle our cows a bit differently. 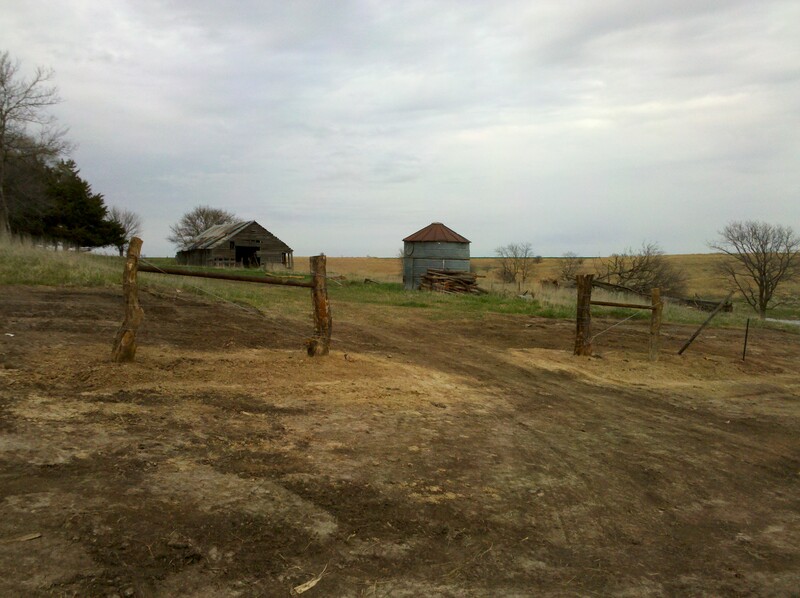 We need 4-wheelers and the mule for spraying thistles, fixing fence, cutting cedar trees, running around to check for deer and turkey, and the list can go on and on. It is only logical then, that we use them to herd the cows as well. For you other ranchers reading this, yes, we do have a few canyons and creeks that we can’t get through with 4-wheelers & a horse might be alot handier. However, Matt’s word rules and Kaydee doesn’t get to have horses. 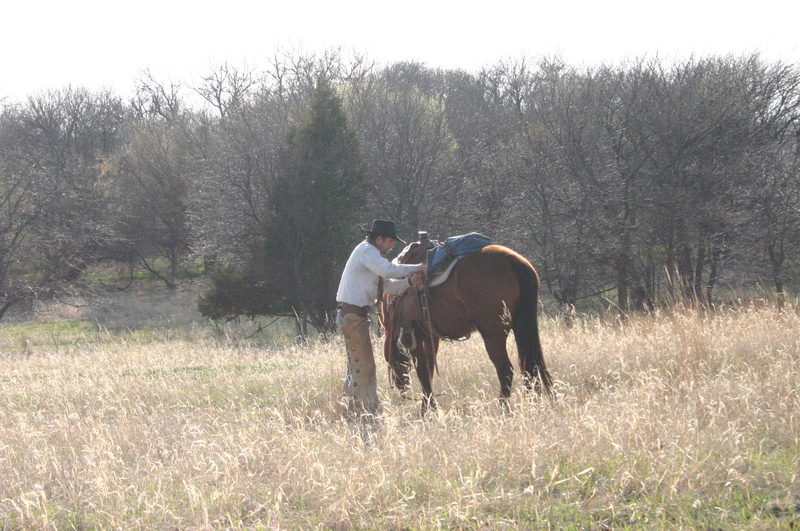 His theory is that it’s really nice to only have to “feed” the horse when you want to use it. So, rather than using good cow hay to feed a horse, we just fill the gas tanks. Our cows are very familiar with the mule and the 4-wheelers. The black and red ladies know that when they hear the sound of an ATV coming through the pasture, we are there to make sure they are all doing o.k. They also know we are filling the mineral feeder and very possibly bringing some range cubes. Range cubes are very large, hard pellets. They are made of a mix of all kinds of things like cottonseed hulls, dehydrated alfalfa, soybean meal, sunflower seed hulls, dried distillers grains, and vitamins and minerals. 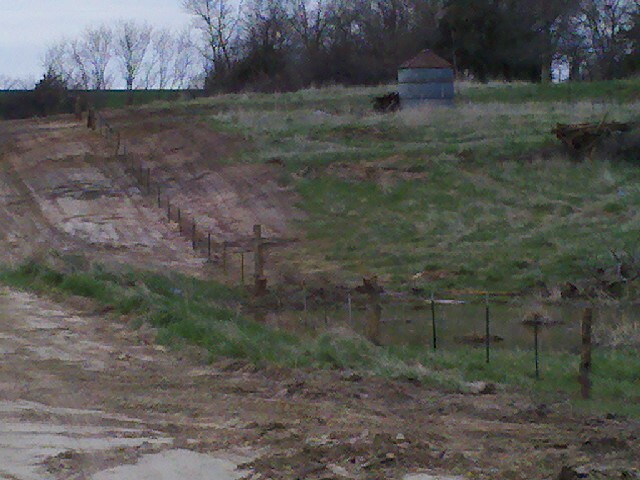 The cows love them! I suppose cubes to the cows are like M&M’s to me….Very Tasty & Extrememely difficult to resist! So, while many people are out racing, jumping, and playing in sand dunes with their ATV’s we are herding cows and maintaining pastures. Oh no, its not all work all the time, we have some pretty big hills to ride on, so we get plenty of fun riding to! Some of the most fun days in the winter are the ones we pull each other on sleds with the 4-wheelers! Do you ever have those times when life just creeps up on you and you have to just slow down and enjoy the things that need to be taken care of? That was me for the past week! I got to do everything from laundry to move cows to more laundry to try my hand at trap shooting (which I am REALLY bad at! ), some more laundry, attend Kaydee’s school play, and toss in another load of laundry. Somewhere in there I got to eat two amazing meals at Mom & Dad’s (one on Saturday and one on Easter). Those are some massive corner posts! It was a little cold and windy moving cows, but it was alot of fun – especially when a cow kicked the headlight out of Matt’s mule! Guess that’s why we carry insurance. Farmers truly do keep the economy flowing – there is something every day that has to be fixed, fed, or replaced and it all costs money. We got home from moving cows and doing chores in time to do some trapshooting at our house. We set the remote controlled thrower out, marked 16 yd stations and started firing away. For me, it was definitely shooting AT the rocks! I started off so well, breaking 2 of the first 4. It was all downhill from there! Like Emmet’s trap coach tells us all the time, “Nothing a truck load of shells won’t fix.” I think it will take me more than a few truck loads of shells to get the hang of it! After getting somewhat caught up on the cows and the laundry, we got to enjoy Kaydee’s high school drama performance last night. No – not the typical teenage girl drama (though we do get a taste of that now and then), a real dinner theater put on by her high school. They did a great job! Her role as Butch Cassidy fit her personality quite well! Animal care is the number 1 priority on nearly all farms and ranches around the country. It sickens and saddens me that I had to use the word, “nearly” in that sentence. Once again, there is an animal owner and their employees who do not uphold the same animal welfare standards as everyone I know personally; and, has made their way to the limelight casting a negative image for dairy calf farms all around the country. In one article I read this morning, the calf ranch owner was quoted as taking full responsibility for the actions of the employees and had terminated those employees. That is great, but, where was the oversight and direction for these employees prior to and during the undercover investigation? We all have to take responsibility to make sure proper practices are being followed on our own farms and ranches at all times. My family has been following Beef Quality Assurance (BQA) practices for as long as the program has been around. 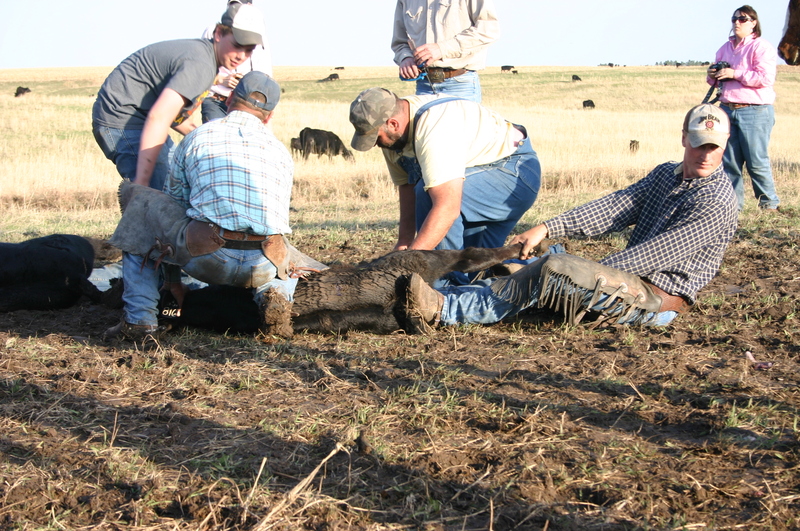 If we have a neighbor helping work with the cattle, and they seem to have a different idea as to how things should be done, we quickly and thoroughly teach them the way we want them to proceed. That “correct way” may apply to giving injections, coaxing animals in a given direction, putting in ear tags, giving pills, and so on. The farmers and ranchers I know truly care about the health and well-being of the animals they raise. Yes, it is true, healthier animals are more productive animals. And yes, it is true, we are in it to earn a living. However, there comes a point, sometimes, when it isn’t about money or even science, but it’s about just doing the right thing. Whether it’s putting down an animal that is suffering so horribly it isn’t going to survive or nursing one back to health or transporting animals to be harvested, it all is done with the utmost respect and appreciation for the animal and it’s life. If you are a fellow producer reading this, I urge you to be proactive in making sure your farm and all those you know are using the best possible practices for handling animals. If you are not a livestock owner, please be assured that there are hundreds of thousands of livestock owners who take very good care of their animals and they are just as frustrated as me when they find out there is a “bad one” out there. Now, with that off of my chest….I will certainly try to write something much more fun tonight. Thanks for reading and have a good afternoon. Saturday was the day of one of my favorite events of the year (after Christmas, Easter, birthdays, and the 4th of July). Saturday was the day my folks and my brother who farms there with them held their branding. Emmet and I were the only ones from our family who made it to help. Matt got held up in Kansas doing our chores and helping a neighbor there. And you’ll remember from the last post, Kaydee was busy with prom and still sad she had to miss branding. Oh, but no worries…she had a great time! Here they are bringing in the cows and calves to get sorted. The cows were all given shots and dewormed earlier in the week. This is only half the herd. The other half is at a different place (where my grandparents lived) and the crew had them done already. 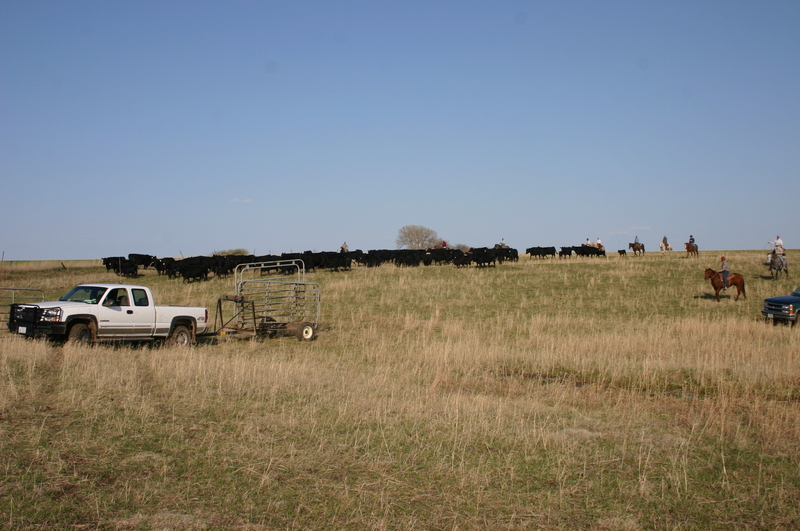 We had somewhere between 15 and 20 people to work the nearly 90 head of calves at this pasture. My folks and brother like to do this “the old fashioned way.” Which means, the calves are roped around a hind leg and pulled to the handlers. 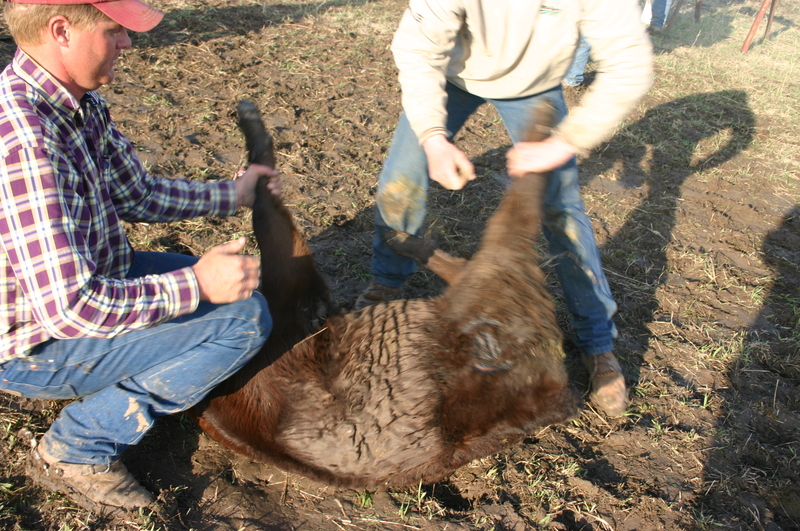 The handlers restrain the calf while others give shots, brand, and castrate the bulls. The entire process takes less than 2 minutes per calf. 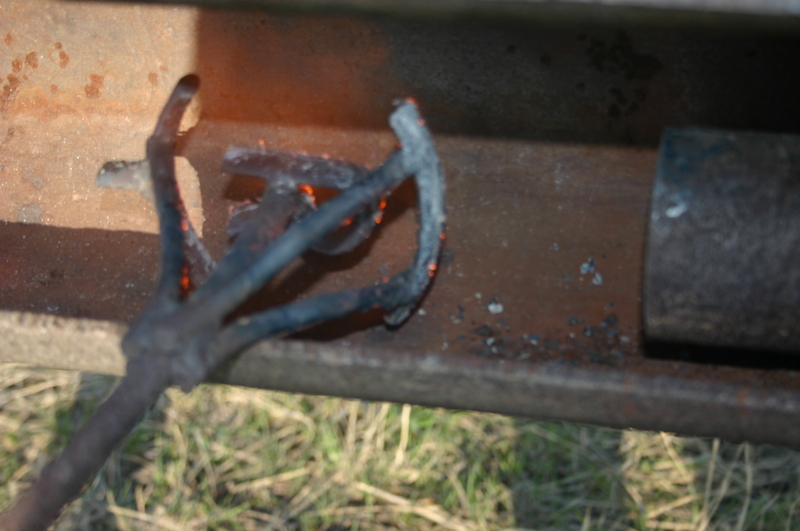 This process, when done correctly, causes very little stress on the calf and is safe for the people doing the work. It is important to vaccinate the calves so they don’t get sick. I can’t imagine not having my kids immunized. This is no different – the calves are immunized against respiratory diseases. We had just a little mud to work in, and everyone ended up with a wet tushie, but it was great to not have dust flying! Here is what the brand looks like. “Did it hurt much?” asked his buddy. “Naw, it just stung a little bit. Before you know it, they’ve done quit. When I thought I’d nearly die. On that cold and stormy night. And laid in the wind and snow. I was shivering from the cold. But right away the cowboy found me. You know, the one that feeds us every day? And put me inside in warm, dry hay. He brought my mama, too. And made sure I was alright. To see a cowboy than on that night! When we started eating sweet, green grass. And I sure got sick real fast. On a big, long-legged beast. And rode over to doctor me. Of course, he had to rope me. Which my mama didn’t like too much. After he gave me those pills and stuff. And do you remember a couple of weeks ago. When they moved us a real, long way? As we walked along that day. I lost track of my dear mama. Boy was I one scared pup! And made sure we were all paired up. In my first few months of life. To help me in my strife. Given to me by a special man. After the work is all done, my Mom serves an amazing meal! I offered to bring something, but she really takes pride in “feeding the crew.” We had steak sandwiches, salads, roasted potatoes, baked beans, fresh fruit, and of course, dessert. And, plenty of beverages! A great time was had by all, and I’m sure the whole crew will be at someone else’s place doing the same thing in the next week or two, and then the next place, and then the next place, until everyone has their spring cattle work done.